How fast can you spell C-H-A-M-P-A-G-N-E? If you were quick enough, keep up that momentum and grab one of the limited VIP passes for Zürich’s premier champagne event! Those who got stuck on the letter “P” are out of luck, though. That’s because the tickets for Champagne & Friends have a reputation of selling out quickly: “Half the tickets are already gone two months before the event,” confirms organizer and self-proclaimed Champagne Spy, Dan Roznov (pictured on the right). Isn’t it time to add some sparkle to your life? We have met Dan on several occasions and are always amazed by his genuity. No wonder he has a large following of champagne lovers who devour his reviews and follow his every tasting on social media. 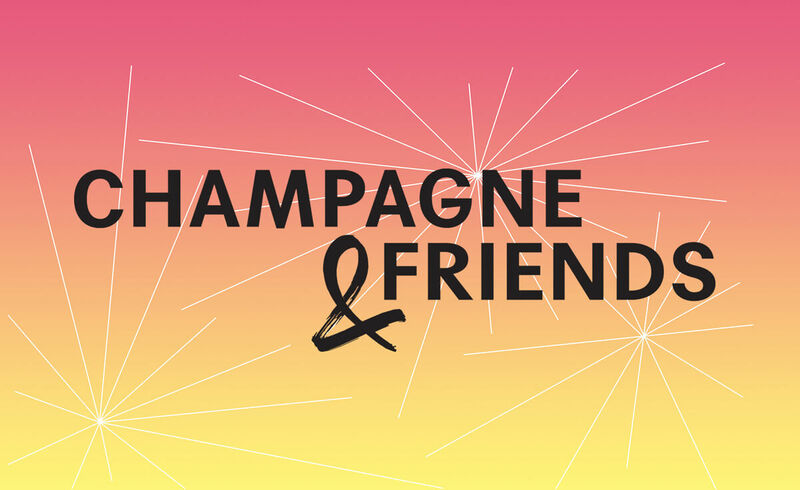 Already for the third time, Dan is hosting a premier champagne event which not only boasts variety, but also exclusivity: Champagne & Friends. One of the 20 champagne houses we are keen to meeting is Konrad Champagne by Swiss entrepreneur Antoine Konrad, a.k.a. DJ Antoine. But see for yourselves and check out the full line-up of participating maisons! – The admission ticket includes unlimited champagne tastings as well as food pairings. – Tickets are exclusively available in the online pre-sale. – The minimum age for entering is 18 years. – All information is provided in English.